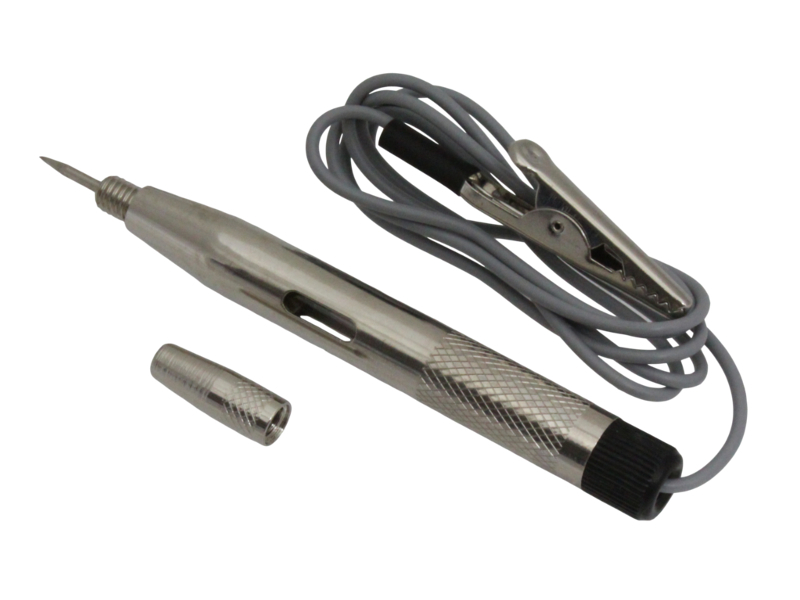 Pocket-sized metal bodied circuit tester with croc clip connection, bulb and screw-on cap to protect the probe. With the croc clip connected to an earth point the sharp probe can be used to pierce cable insulation to check for power (bulb inside housing will illuminate). 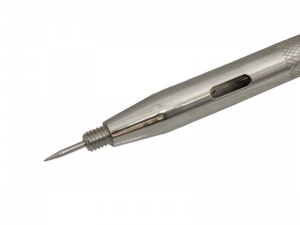 Suitable for testing 6, 12 or 24 VDC systems.